Here’s a common problem that many radiologists face: They read an emergency patient’s imaging study and find something that needs to be addressed immediately. They call the emergency department, but it’s a busy night; the department is packed with patients and no one answers. The radiologist leaves an urgent message. Someone returns the call in a few minutes, but by then, the radiologists are busy reading other cases or have been called to do procedures and can’t answer their phones either. To solve this problem, many hospitals and imaging departments implement a critical test results management (CTRM) system. The system helps ensure critical radiology findings flow smoothly and quickly from the radiologists interpreting exams to the physicians who are treating the patients. When that communication is not completed, CTRM systems raise the alarm and prompt the imaging department to follow up until it receives confirmation that the report has been received. José Bennett, PACS administrator for Tuomey Healthcare System based in Sumter, South Carolina, has used Amcom Software’s CTRM system for more than two years. 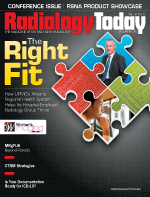 “It completely solved our issue of radiologists and ER physicians playing phone tag,” he says. Within three months of implementing the system in the emergency department, Tuomey saw an 11% improvement in its discharge times. At the time, the CTRM implementation was the only change made, so Bennett is confident the improvement in discharge times can be attributed to CTRM and its quick delivery of radiology reports and the required confirmation of receipt by referrers. With the system in place, 89% to 97% of Maimonides radiologists’ reports are reaching the physicians within 60 minutes. “The numbers would be higher, but it only takes one doctor to knock them down,” Flyer says. Often the issue is something simple, such as the physician who is listed as the contact goes off duty and still gets called even though another physician is covering for him or her, Flyer notes. A newer feature of the Nuance CTRM solution addresses this issue by allowing the system to coordinate the contact list with physicians’ schedules. But it’s not just hospital emergency departments that are implementing CTRM systems. American Mobile, based in Opelousas, Louisiana, uses BRIT Systems’ CTRM solution. Its president, Dale Vidrine, CRA, watched a demonstration of the system and was impressed with what it could do. However, Vidrine thought his mobile imaging company, which primarily serves nursing homes, wouldn’t have much use for it. Ironically, on the day of his demonstration, he received an angry call from a nursing home saying it had not been contacted with a finding. It was the same problem as radiologists trying to reach emergency physicians: American Mobile’s radiologist had tried to call the nursing home multiple times, but no one was answering. “It’s Murphy’s Law,” Vidrine says. “It seems the report with critical findings is the one that will fall on the floor upside down, and no one sees it.” An added difficulty in his company is that the radiologists have hundreds of locations to contact, not just a few, he notes. The CTRM solution serves as backup. If no one answers at any of the telephone numbers the radiologists have, the CTRM system kicks in. At that point, the radiologist tells the system to contact high-level staff at the facility and alert them to the critical finding. The referring facility chooses who receives the alerts. Currently, Tuomey Healthcare uses its CTRM system only in its emergency department, but it plans to expand the system to all imaging test results throughout the hospital, Bennett says. If a critical test result is left unacknowledged for 30 minutes, another physician is notified. “But we’d like it to be under 30 minutes,” he notes. Flyer says the CTRM system solves not only the phone tag issue but also workflow issues. In today’s health care environment, providers rely considerably more on noninvasive imaging modalities to make appropriate diagnoses and treatment decisions. When radiologists must stop amidst a busy workload and try calling a physician only to be put on hold or not get an answer, it affects their productivity, he says. Being able to dictate a brief report, click a few keys, and send a message to the attending physician that the report is ready improves workflow, Flyer explains. When the system was first implemented, physicians on the receiving end of the alerts had their own issues, and some were a bit reluctant about CTRM. The referrers were concerned about potential disruptions to their already-strapped workflow, Flyer says. They also were skeptical about not speaking directly to the radiologists about the findings . But they, too, have come around, he says. Physicians know receiving reports in a timely manner is important for patient care and safety, and they accept the CTRM system because it works. Besides, if the physicians have questions about the reports they receive, they can respond to the radiologists via the CTRM system and arrange to speak with each other, Flyer notes. To make users even more comfortable with the system, all Maimonides radiologists were involved in deciding what findings would be considered critical and need to be reported as urgent vs. unexpected. “We asked neuroradiologists, musculoskeletal radiologists and body imagers, and others to help come up with a consensus list of critical findings—those that are going to be life threatening to the patient if not addressed immediately—as well as unexpected findings. Then we circulated it around to make sure everyone was aware of it,” Flyer says. Among the 25 to 30 conditions that made the critical findings list are collapsed lung, perforated ulcer, blood clots in the lungs or legs, and bleeding in the brain or abdomen. The key to successfully using the system is maintaining a good database, Flyer says. It’s important to make sure that as new physicians join the health system, their contact information is added to the CTRM system and that everyone else’s is kept up-to-date. Greensboro Radiology in North Carolina, a radiology client of Canopy Partners, doesn’t use a CTRM system, but its speech recognition program by M*Modal will scour the radiologists’ reports as they’re being dictated and flag any critical findings. “We have a predetermined set of text—10 to 20 measures that are universally identified as life threatening, such as a stroke or aneurysm. If the radiologists’ reports contain any of them, they receive an alert and know to report it as a critical finding,” explains Stephen Willis, Canopy Partners’ chief information officer. The radiologists will call the referring physicians directly to report the critical finding, Willis says, and the system will record when they called in the critical finding and who received it. “PowerScribe 360 also provides a second set of eyes for the radiologist by proactively identifying critical findings through the use of clinical language understanding, ultimately improving communication throughput and enhancing patient care,” says Rodney Hawkins, Nuance’s general manager of diagnostic solutions. The Joint Commission requires all critical findings to be reported with speed to get accreditation, Hawkins says. He expects CTRM system usage to increase as regulators push facilities to have a well-documented process for reporting critical findings. “With the PowerScribe 360 platform, it is seamless for radiologists to simultaneously facilitate this process in the same environment as report creation,” he says.